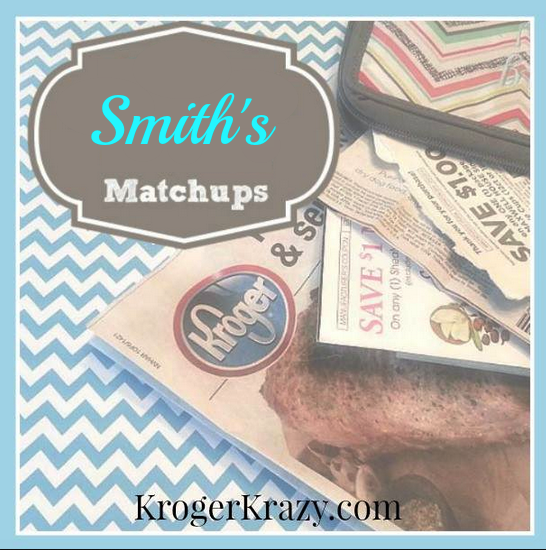 Here are the coupon matchups for Smith’s (Kroger Affiliate). This region’s sale cycle runs Wednesday through Tuesday. Math is based on FACE value of the coupon. This region does NOT double coupons! If an item is priced 10/$10, you do not have to purchase 10 items to receive the $1.00 each price unless otherwise noted (like when part of a mega sale).